The command line is the best place to resolve Windows PC problems. The CMD command helps in performing many advanced administrative functions and also in troubleshooting Windows related issues. Many of the Windows Command Prompt seems boring or pretty useless, but it makes the entire manual tweaking just a single command’s work. 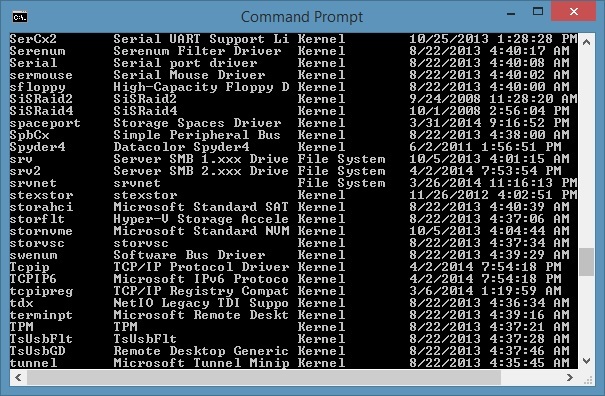 The Command Prompt is really very powerful and worth saving few seconds of extra work every day. So, this article is intended solely to introduce some useful troubleshooting commands. The System File Checker is the best command that can be used to check the reliability of the Windows system files. There are various malicious software that often attempt to replace core system files with modified versions to take control of the user’s PC/laptop. And if any files are found corrupted or missing than just run the sfc/scannow to fix the corrupted system files. This helps to check the integrity of the PC to assure that the entire system files are digitally signed. This command is launched from the command line but uses a GUI interface. This notifies which system files are signed and which are not. You can use the sigverif to launch the File Signature Verification tool and as it is important that the entire system files should be digitally signed, even some hardware vendors don’t sign driver files. 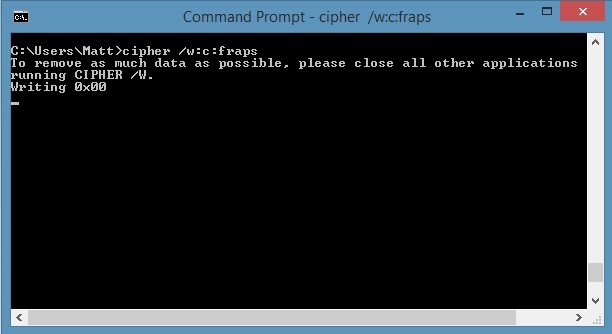 The Cipher command can be used to wipe directory by writing random data on it. Deleting files on a mechanical hard drive doesn’t wipe them all, it just makes the files are no longer accessible and recoverable until they are overwritten with new data. Use the cipher command this does not overwrite undeleted data, and the files are not wiped out by running this command. Drivers are the most important software installed on the PC. Improper configured or missing drivers can cause various troubles and to check the installed drivers run the driverquery tool. This provide information about each and every driver that is being used. User can extend it to driverquery-v to get bit more information including the directory in which driver is installed. And to get the display signature information for the drivers run the driverquery-si command. The ipconfig command can be used to modify and view computer’s IP addresses. This command prompt will provide information on IP address and DNS servers along with information on host name, node type, primary DNS suffix, etc. The user can use the ipconfig/release and then ipconfig/renew command, assuming that the system has acquired its IP address from a DHCP server. Another thing user can do with ipconfig is flush the DNS resolver cache. This helps when a system is resolving DNS addresses incorrectly. The ipconfig/flushdns command can be used to flush the DNS cache. This also helps to know if anyone is stealing your Wi-Fi connection or unauthorized access to Local Area Connection and using it. This command will provide the list of currently open ports and related IP addresses. This is a great command to troubleshoot the devices in which PC is connected. This will help you to determine if someone whom you don’t know is connected to your PC or not. Enter the command “netstat-an” and it will provide list of currently open ports and related IP addresses. User will also be notified the port state is in like listening, establishing or closed. Powercfg is a very powerful command that helps for managing and tracking how PC uses energy. User can use the command “powercfg /hibernate on” and “powercfg /hibernate off” to manage hibernation, and also use the command “powercfg /a” to view the power-saving states currently available on the PC. Another useful command is “powercfg /devicequery s1_supported” that displays numbers of devices on the PC that support connected standby. The “Powercfg/lastwake” will show when the device last woke your PC from a sleep state and this command can be used to troubleshoot your PC it if wake up from sleep randomly. The “powercfg /energy” command can be used to build detailed power consumption report for your PC. This helps to know system faults that increases power consumption like devices that are not properly configured etc. This is very useful and advanced troubleshooting that can be used to provide current list of all tasks running on the PC. There are wide ranges of modifiers “Tasklist -svc” command helps to show services related to each task, the command tasklist-v can be used to get more details on each task and tasklist-m can be used to locate .dll files that are associated with active tasks. Taskkill is a command that can be used to kill unresponsive or hidden programs and a bit redundant with Task Manager. By using “taskkill-im” followed by the executable’s name or “taskkill-pid” followed by the process ID. This is bit disused with Task Manager, but used to kill indifferent or concealed programs. This is also very useful command that help the user to recover image. If the user uninstalled the software they can create a new image by using the “recimg” command and be entering this command it presents details of how of use it. 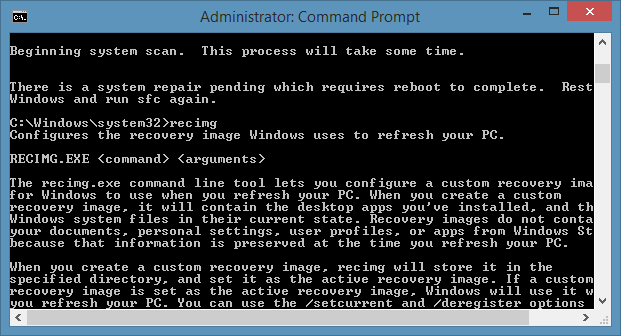 but the user should have the administrative rights to use this “recimg” command and user can only access the custom recovery image created through the Windows 8 “refresh” feature. So this is all about the Windows CMD commands that help you to fix various PC problems easily. You can make use of this to fix Windows 10, 7, 8, 8.1 related issues manually. 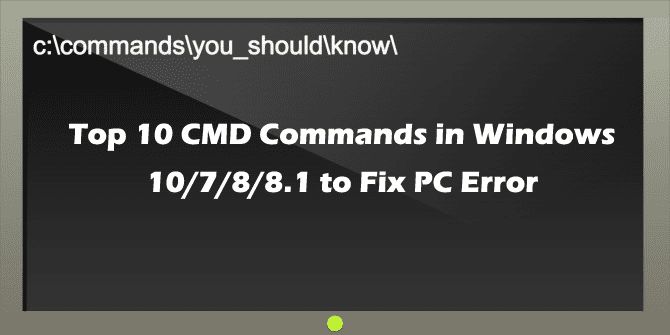 Well, these are some of the cmd commands that help the user to fix PC error, but this also include manually editing most carefully, but if you are not having ample knowledge about the manual process then it is recommended to make use of automatic Windows Repair Tool to fix the error related to PC. This is the best tool that is designed with the advanced algorithm to detect and repair errors of the operating system automatically. 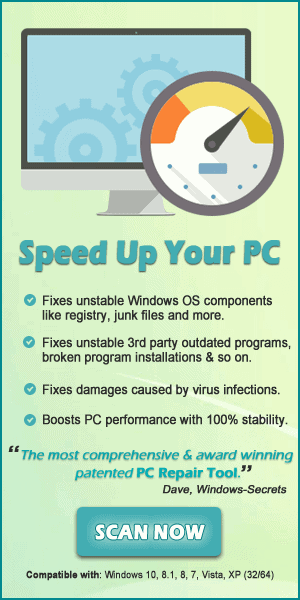 This is a repair utility that can help to fix the Windows operating system from damages caused by viruses, blue screen errors, red screen error, DLL error, Windows error, Application error, repair Registry utilities, PC error, Blue screen of Death errors, slow computer, and various other Windows errors. It is easy to use and fixes the error automatically. So these are the CMD troubleshooting commands that you can make use to check various PC problems and fix it. Making use of the CMD commands will help you to detect the Windows related problems and fix all errors on Windows 10/8.1/8/7. So utilize the useful CMD commands in Windows to troubleshoot common PC problems. Here learn about each CMD command and whenever required make use of it to fix the errors and others issues easily.